Words by Hunsbloger: These things are as rare as hen's teeth, Trust Me, I've tried to find low mileage ones for years. The owners love them and tend to really stack some mileage on them. They are only available as automatics and all of the V8's are AWD. If he's cut off the mufflers (as stated in text), this thing is going to be beastly sounding. 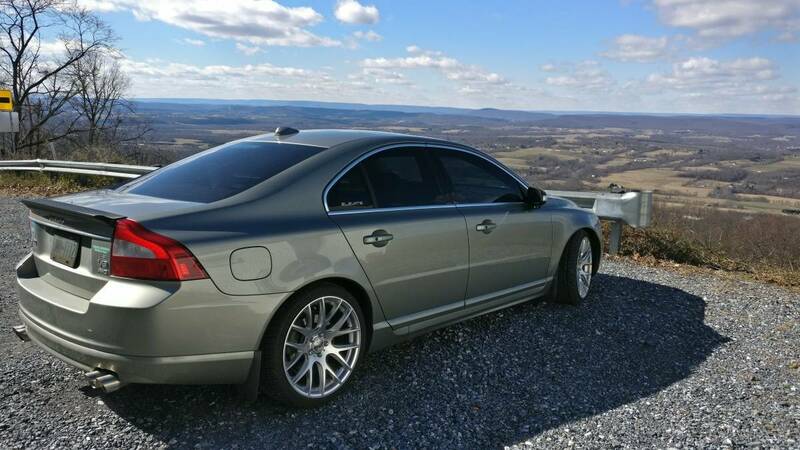 Find this 2007 Volvo S80 offered for $14,999 in Chambersburg, PA via craigslist. Tip from Jeff S.
Youtube any exhaust kit for one of these and you'll hear they sound very sweet at full rumble. Ditch the loud stereo bits and just hit the loud pedal! Its a step child car and he's asking the MOON for it, but if you've got to keep the wife/kids in a cocoon of safety and want a V8 300+ HP ain't a bad way to go. From the seller: I've decided to list my car for sale. I do have quite a bit more money in it then I'm asking, but it's time to move on to something different. The car has never given me any issues at all since I've owned it. I bought it in 2014 with 29k miles on it and it now has close to 72k. Here's a short list of the things I've done to it. It's lowered 1.5" on B&G springs. It has the mufflers deleted and quad tips welded on by a local shop. Installed 6k leds in low and high beam, plus fog lights, and these were purchased from a company that sources them from Germany. (They are not you typical eBay led kits). The interior lights have also been switched out for leds. I've installed an Elevate rear spoiler which was carbon fiber wrapped along with the mirrors by a friend of mine. 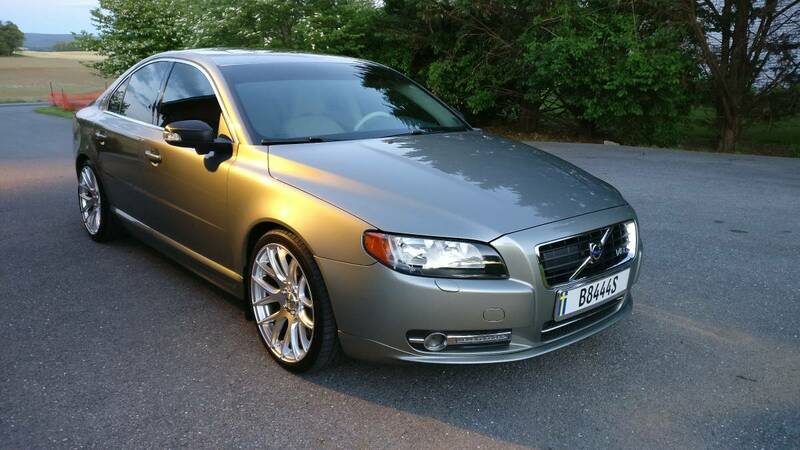 The car is one of the cleanest low mileage v8 S80's around and it has been taken care of meticulously. 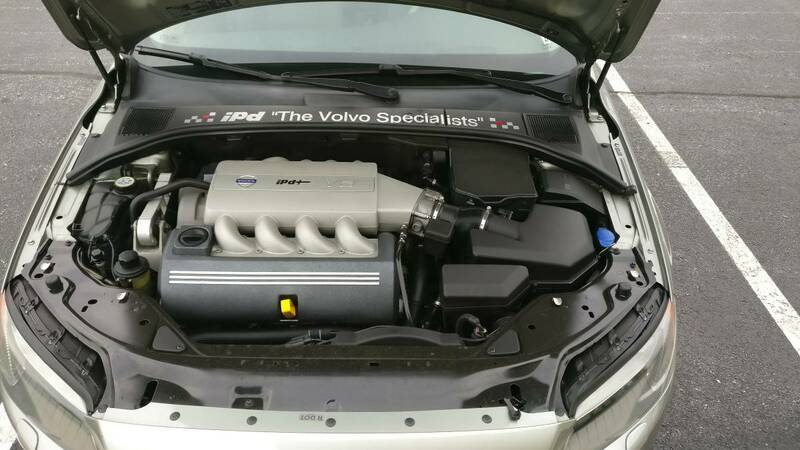 The sticker price back in 2007 was close to $54k, and there's not many Volvos you can buy today with 300+ hp for the price listed. All the service has been done by either Blaise Alexander Volvo or Lehman Volvo since I've owned it. Oil has been changed every 5k miles with Castrol 5w30 as Volvo recommends. I'm open to reasonable offers, but come see the car for yourself. If you're familiar with Volvos at all, you know for a fact that these are one of the safest cars on the road and will run forever if properly maintained. Again, contact me if you'd like to see the car. No joy rides unless cash in hand. NO TRADES. Car sold for $14k. Everyone has their own style on vehicles. Yeah...I want to love it because Volvo. Or should I say V8olvo. But, Hay-Zeus that's a barrel of coin. 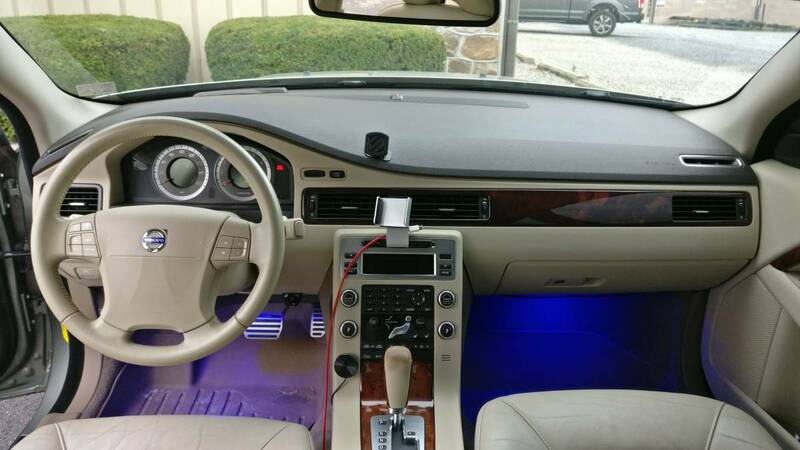 Interior lights are an easy swap away from a return to adulthood and the stance is attractive to me. But the ask, oh, the ask!! Listening to the video after Gavin. Just returned from Lemons at CMP, the sound reminds me of this 240sx that has a (I think) Windsor swap in it. Glorious sound! Leave Gavin out of this. That is a very unexpected sound from the white Volvo. I don't know if I would go that far with the tone. Personally, I don't find the lowering excessive at all and the tire/wheel combo he chose goes very well with the car/color. Agreed on the exhaust though... or should I say, how far the tips stick out. Push 'em back in two inches and I'd say it's tastefully done... sans the lighting. 1) If I had a propensity to "joy ride" it wouldn't be in a 10 year old automatic Volvo sedan. 2) I have to have $15k in cash on me for the privilege of riding in the car you're trying to sell? Aside from it taking a complete lack of concern for one's safety to show up to a craigslist transaction with $15k in cash, this isn't a Faberge egg we're examining here. It's a 10 year old used car. A license and a copy of my auto insurance policy should suffice for taking a spin around the block. Moves like this just scream either "I can't afford this car I'm selling so I assume you can't either", or "I'm asking wayyyyy more than this car is worth because I've put it on a mental pedestal.